Innovative design, high-quality that lasts. 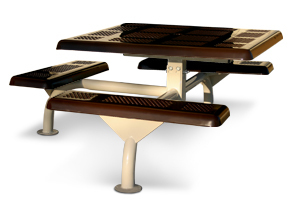 This square outdoor picnic table adds style and utility to every outdoor recreation area. 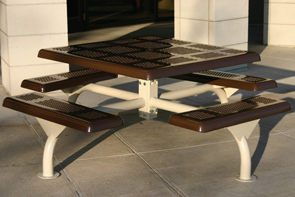 The perforated metal top and seats allow rain water to filter through preventing rust from forming, and the round edges and smooth finish provide superior comfort for both sitting and eating. The top and seats are coated in a lightly textured matte Polyethylene finish, and optional cast aluminum grout covers are available. 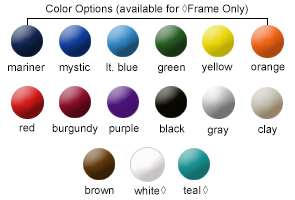 Optional 7-1/2" and 8-1/2" umbrellas are available in any of the color options shown, in either a single solid color or a 2-color alternating pattern.